Shooting Stars (Ages 4-5): This is a by invitation only class that is geared towards more advanced, older pre-school children who have impeccable listening and coordination skills. 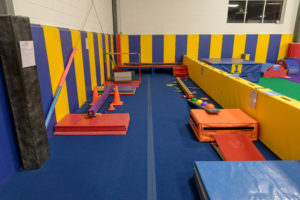 It will introduce a skill-based approach to learning gymnastic elements on all four apparatuses. Classes meet for 1 hour once per week. Cost – $140 per 8 week session. Not all classes may be offered every session. Please check the Class Schedule for current availability.